According to local legend, a battle took place at this site between Native Americans and the Army. Several shallow pits, within a circle 50 feet in diameter, were identified by early residents. A military buckle and buttons as well as human bones were also reportedly found. However, it is more likely that the pits were made by looters digging out Native American burial mounds that once existed in this park. There were no military engagements with Indians recorded in Columbia County. This Wisconsin Historical Society "official marker" does not appear on the list of markers. WHS has been contacted. UPDATE: This marker was added as Marker 550 to the 9/16/2013 update of the Official List of Wisconsin's State Historical Markers. 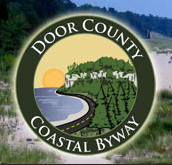 The marker (visible to the left) is next to a picnic shelter. The road leading into the park. Looking west along Wyocena Lake. The entrance to the park -- just follow the sign! 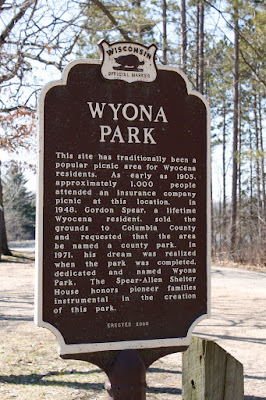 The marker is located in Wyocena, Wisconsin.